French electro ambidjent duo Cartoon Theory, comprised of drummer Maxime Lathiere and guitarist Juan Carlos Briceno Sanchez, have recently launched their second album titled Planet Geisha. On the album, the duo collaborated with Plini, David Maxim Micic, Mathieu Ricou, Luke Martin and Zelie Tible. The album was mastered by Acle Kahney (Tesseract), with drum engineering done by Anup Sastry and Travis Orbin, who also play drums on the record. Maxime and Juan Carlos spoke for Prog Sphere about their work. Define the mission of Cartoon Theory. Firstly, we wanna say thanks so much to Prog Sphere for the opportunity to make this interview. Well, my name is Maxime Lathière, I come from Limoges, France, and i’m a drummer in Electro Indus Metal band OEstre and I decided to create a collaborative project in 2009, in using lots of MAO and keyboards to compose personal music with help of internet and social network to make collaboration with musicians around the world. Quickly, Juan Carlos Briceno Sanchez who was Chernobyl’s flowers guitarist begun to work with me. I fell in love with his play which corresponded to urban, modern, Asiatic artistic universe with influences as Adrian Belew from King Crimson or Misha Mansoor from Periphery. Both, we compose a demo Cartoon 1.1 Theory which released in 2012. After this first act we wanted to make a real album with lots of collabs. For the album “Planet Geisha”, we had the opportunity to work with Travis Orbin, Plini, David Maxim Micic, Mathieu Ricou, Luke Martin and Zélie. To resume, the mission of Cartoon Theory is to make modern progressive, groovy and djent music with cartoon-ish, asian vibes and some electronic elements. And the February 10, We released our debut full-length “Planet Geisha”. The process of production and creation of the album was made in several successive steps. The first was the songwriting. I composed lots of demo on Ableton with some experimentations concerning the sounds, vibes, rhythms. I give all the tracks at Juan Carlos to speak about artistic orientations, tracks structures, and some spots to propose at guests. For the method of work, I propose some spots with the best mix possible to have a certain working comfort but without indication. Each musicians record in his personal studio then I receive tracks and I begin to mix music in its entirety. Now for the guests, that’s really important to tell that every collaboration was naturally made. I played with Zélie in a old Rock band Audiopsy and when i wanted to introduce some singing into Cartoon Theory that seemed to me natural to ask to Zélie to sing on the track Hanamachi. She’s got the Kate Bush vocal style that I looked for. Concerning Mathieu Ricou, I came to see very often his band LizZard whose absolute fan I am, we made friends and of course I propose to him a spot. Then, I listened to a lot Periphery in 2007 and Travis Orbin was drummer in this band. Myself drummer, we corresponded enormously and I was admiring of his drumming and personality. I was very surprised when he suggested me playing for Cartoon Theory as session studio drummer in 2010 and I didn’t hesitate one second. For Plini, he played some guitar soli on three tracks (a couple recorded in 2012, and the newest in 2015 with David Maxim Micic on Sacred Geometry). I knew Plini since 2010 on Myspace with his project Halcyon. The same for Luke Martin with his project Versed. For the technical process, the drum’s recording took place in two phases. First, for Hypnotic Nova’s Dance and Wizardry Mind in 2012 in Anup Sastry studio who’s the drummer of Monuments and in summer 2015 for four tracks in Travis’s studio. You can find Drum audio / video session on Youtube. For the cover and graphic universe, I consider that the picture is also important as the music for this band and I don’t contact Juan Manuel Orozco aka JML2art by chance. Passionate by modern, vectorial and geek art, I watched his creations on Behance website and Facebook and I find his artistic universe absolutely magnificent. The modern, colored style corresponds marvelously to the universe of the band. As for the subject, for the style, the colors, I have an idea rather precise of the criteria. The album being called “Planet Geisha” the subject of the picture will be a Geisha, of course. The main theme is a GEISHA who seems to be a goddess with a third eye. And for the colors, the cover needs black lines and for create contrast needs coloration Fuchsia Fluorescent pink magenta vermeil and between red and pink. After this recommendations, he made an enormous research work and the first sketch was amazing. After he worked on Illustrator and Photoshop. What is the message you are trying to give with “Planet Geisha”? As our music is essentially instrumental, there isn’t necessarily explicit message. We compose simply the music which makes us happy and we hope to give the feelings with the esthetics of this album. The purpose is always to archive the ideas, the rhythms, the melodies on the computer with Ableton. On the other hand, the ideas can emerge differently, by staying in front of the computer until an idea comes as a pure geek or by playing the drum, when a rhythm pleases me, I write it and I program it on my computer or finally, when I’ve got a nice melody in my head generally line Bass I record it on my phone and program on Ableton. Which is very interesting in the progressive music, it’s the capacity of certain bands to create the music which is complex and obvious at the same time. The capacity to innovate in term of sound, technicality, artistic codes and what it seems obvious. It’s necessary to cultivate a peculiarity, an originality. To arrive at this originality, it’s necessary to find a balance between a conscious organization of the music but also give way to the accidents, to the unforeseen to give a surprising side. In the album, I’ve got the feeling that the flow alternates between dynamic parts and ambient or contemplative parts. The first step was to compose the track on Ableton with the best mix as possible to propose some tracks which tempt to play above with a working comfort. Every musician recorded in his personal home studio. Travis mixed the drum and I mixed the music in its entirety. And yes, I had a precise idea of sounding production and mixing. we would like to make modern metal djent but with fusion modern jazz and electro mix. Liquid Tension Experiment I and II, 80′s or most recent King Crimson production or Snarky Puppy general sound are big influence to make mix. We love Misha Mansoor production or Acle Kahney from Tesseract too! Acle has mastered the album at 4D Sounds studio. How long “Planet Geisha” was in the making? The first note of “Planet Geisha” was composed in 2011 with Hypnotic Nova’s Dance. Five years can seem enormous for 45 minutes of music. but between the composition, the schedule of each musicians and the mixing, mastering, cover, and all these steps require of time and to learn a lot of technical knowledge. It was a big experience and I measure the luck to make the music about which I dream with your favorite musicians! Now, that we made our artistic network, we want to make more music! For this album and maybe for this band in general, we could separated four influences. At my sense, the major influence is progressive and fusion instrumentals bands with lots of keyboards and guitar virtuosity as Liquid Tension Experiment, Planet X, King Crimson, Steve Vai, Plini, David Maxim Micic and maybe Snarky Puppy which is a phenomenal Contemporary jazz band. The second influence is maybe Djent Modern Metal sphere with Animals as Leaders, Periphery, Meshuggah or Kadinja. Movie music too is an important influence for us as Thomas Newman, Eric Serra, Hans Zimmer. Finally, I like Electonic contemplative music / Glitch / Neurostep / Dupstep / Electro Metal / Synthwave / Ambient Post Rock. I like Tycho, Mr Bill, The Algorithm, Jake Bowen Electronic Project, Reso, Kursa, Koloto, Triphonic, Hammock, Carpenter Brut, Heptaedium, Kubbi, Navene K, Nerve. Obviously, all these styles are permeable between them, and we can include them around the idea that the narrative, modern, groovy and progressive music influence Cartoon Theory. I have an opinion ultra positive of the technology. Cartoon Theory joins definitively in the air of the digital technology. The contribution of the technology joins in two points. The first is that digital technology serves the music with the use of MAO as Ableton and Cubase. With this tools you can compose and mix and with lots of work the result can be fun. The second argument is every bands can use Internet and every social network to promote, to communicate with lots of musicians and construct the base of a collaborative project. It’s definitively a new way to make some music. The first one that I saw this way of working, That was for the album SMPTe from the side project TRANSATLANTIC in 1999. The musicians were not nearby geographical from each other but with Internet, they could exchange some demo and when they arrived in studio for two weeks, the album was already composed. Of course, as a medicine, if the digital technology is badly used that can be the worst poison. Make some music is not useful… except to produce a better world more beautiful. Obviously, there was a purpose beyond the music. Making music is an act of resistance to the others and self-surpassing. Especially in France, I’ve got the feeling that the music and the living culture are more and more denigrated. It’s always personally a vector of hedonism, learning of knowledge, social link and the highlight of this that’s when your music serves a cause as Plini and his KO KI song. In 2014, he released a song called “KO KI” in order to fundraise for a volunteering trip to Cambodia led by the wonderful non-profit organisation Raw Impact. At the beginning of 2015, he went to Cambodia, to help construct a community centre for the people of Ko Ki Village. Apparently it was an unforgettable experience for Plini and lots of people in this community. 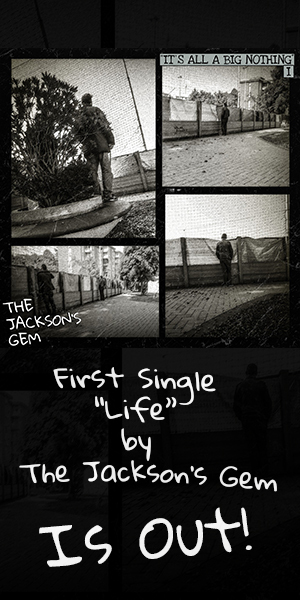 In 2016, he begins again the experience with the track “Every Piece Matters”. I find that magnificent. I work on three elements for future experiences. I work as drummer for Live experience. At the same time, I look for musicians to assume the live with me. Then, I compose at present an EP 5 tracks wich name is “Hachidori” with maybe Travis Orbin on drums and new guests. 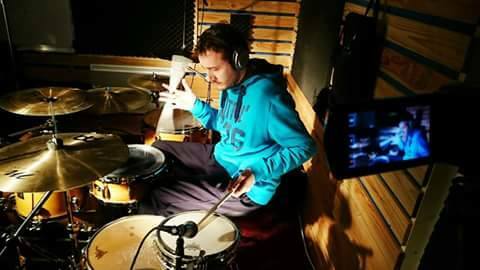 and i’m going to publish soon a drum video to show that i’m a drummer too and in this continuity, i shall compose some singles where I shall be the drummer studio and with the aim to publish much more music than before the album and grow this project. Follow Cartoon Theory on Facebook.